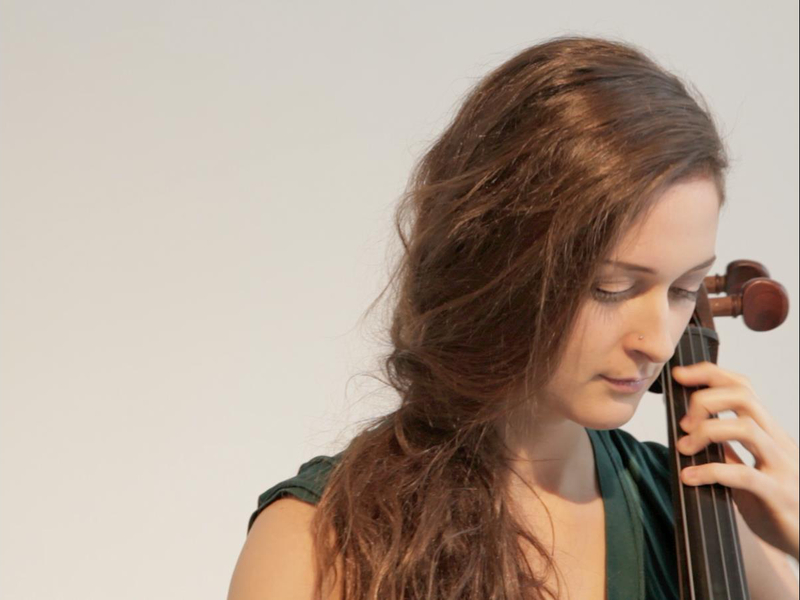 Zosia Jagodzinska is a cellist and a singer who has just released her debut EP, ‘Eros and Thanatos’. The songs capture and respond to specific moments in her life, and as a result the music is reflective, personal and moving. The EP charts a story told backwards from the death of a loved one to the miracle of birth, and as the four songs unravel Zosia holds nothing back. The content is intimate and emotionally charged but Zosia’s performance is even more so. How would you describe your sound to someone who doesn’t know your music? The way I write music is by improvising, and I don’t have much of a structure. As a result my songs tend to be quite freeform and don’t follow the shape of typical pop or folk songs. 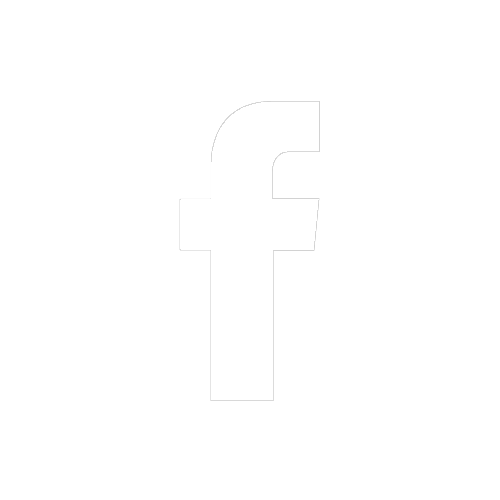 The sound of my music is probably best described as contemporary classical, maybe with an element of folk, and also ‘singer songwriter’, but I try not to think about it too much and every song is different. I’ve grown up playing and listening to almost every kind of music, and I love lots of different styles. I can listen to anything from classical, to jazz, to hiphop. I’m not trying to write in a particular way, or to fit in a specific genre, because I think that can be restrictive. I improvise and write instinctively and what comes out comes out. Could you talk a little bit about being a cellist and a singer? How do the two roles overlap in your music? I came to singing quite late, and sort of by accident. I had to take a year out of Guildhall because I developed a repetitive strain injury through practicing the cello. In my year off I didn’t want to abandon music and so I started singing and improvising. It felt quite instinctive and it eventually became a big part of the healing process. When I sang and played the cello at the same time I didn’t feel any pain (maybe because I was breathing properly). So then I started writing and performing my songs and the pain went away. I think singing taught me how to play the cello in a more healthy way. In terms of singing I still feel like there is lots to learn. I’ve been playing the cello and the piano for a lot longer and singing feels relatively new to me. It started off as something very instinctive and now I am trying to explore it in a bit more depth. I want to make the most of my voice as an instrument, and see what I can do with it. What’s the story behind the EP, and how did it come to be? The songs are quite old, and I wrote most of them about 5 or 6 years ago. ‘Babcia’ is a song I wrote soon after my Polish Grandmother died. It was my first experience of death in the family and it was a difficult time. Composing and playing the song helped me to process the feelings of grief. It was also a gift to my Dad. He would come to my gigs, and this song was special for him and the relationship he had with his mother. Then my dad passed away suddenly, and I found it very difficult to play or write music at all. Knowing that I would record the song, I changed the lyrics slightly so that it could be a dedication to both my dad and his mother, and to give it a more universal message that hopefully resonates with people’s own experiences of grief. I don’t want to say anything too detailed about ‘He Sailed Forth’ and ‘Innocence’ because I think people can find their own understanding. However, both songs are about relationships and explore the idea of intimacy between people. Sometimes I think if I’m too specific about the lyrics or the context then it can make the music less relatable. I’d rather leave the songs open to interpretation and allow people to bring their own meaning. First Breath is the last song on the EP and it is about the miracle of being born, and not taking life for granted. The song came to me in a stream of consciousness one night when I couldn’t sleep. The words came fully formed, but I wasn’t quite sure what they meant until I wrote it down and read it through. The lyrics express a conflict between being elated and being depressed, wanting to live and wanting to not exist, which is also reflected in the title ‘Eros and Thanatos’- Freud’s concept of the ‘life drive’ and the ‘death drive’. I chose these four songs for the EP because it felt like a microcosm of life. There’s an order to it and it feels somehow complete. It starts at the end with death, and then moves through relationships, and finally finishes at the beginning with something uplifting about life and birth. Who would you consider to be your main influences, and what were you listening to when you wrote these songs? The artists I love the most include people like Fiona Apple, Laura Moody, Regina Spektor, Laura Marling, Amanda Palmer and PJ Harvey. They inspire me because they are strong, original women who all have an identity and individuality. I’ve grown up listening to these women as songwriters and so I’m sure their music will have made an impression on me. At the time of writing the EP I wasn’t really listening to songs. Most of the EP was written in my year out of Guildhall. I was listening to a lot of 20th century classical music and jazz, and improvisation was also a really important part of my life during this time. When I wrote the songs they were just for me, and I didn’t really think about how others might respond to them. But now that I’ve had the courage to put the songs out there I hope that my music connects with people. The music that has affected me the most has been able to express something in me that I couldn’t express, or to release an emotion that was trapped. I would hope people can find some kind of emotional release and comfort in my music, if it resonates with them. These are very personal songs for me, and it has been difficult to share them. But now I want to move forwards, and I don’t want to feel trapped in the past. It is a strange thing to be performing songs that represent a certain time in your life, or how you felt in a particular moment. My style is changing and evolving and I think the balance comes from putting old songs in the context of new ones. At the moment I am obsessed with the album ‘English Riviera’ by Metronomy. It is quite an old album so I need to catch up. They have just released a new album and I haven’t got into it yet – I’m always a few years behind them! I’m also listening to Doffs Poi, an experimental Norwegian prog jazz group with a phenomenal vocalist – Mia Marlen Berg – their music really moves me. And Lia Ices ‘Grown Unknown’. I discovered her on the soundtrack of Grey’s Anatomy. She has a bit of a Kate Bush sound, with lots of layered vocals and a very haunting voice. She is my newest discovery and I would recommend checking out her songs. Have you got any new projects or performances coming up? I’ve got plans for an album at some point, and most of the songs are written and ready to go. I just need to find the right producer to work with. I’ve got a sense of how I want it to sound and I think it is going to involve more production and feature more musicians than the EP. I’m keen to experiment with some soundscaping and some bigger, more cinematic ideas. I’m also doing a performance at the Match&Fuse festival later this year. I’ll be playing on 28th October somewhere in East London (the exact venue has yet to be announced). 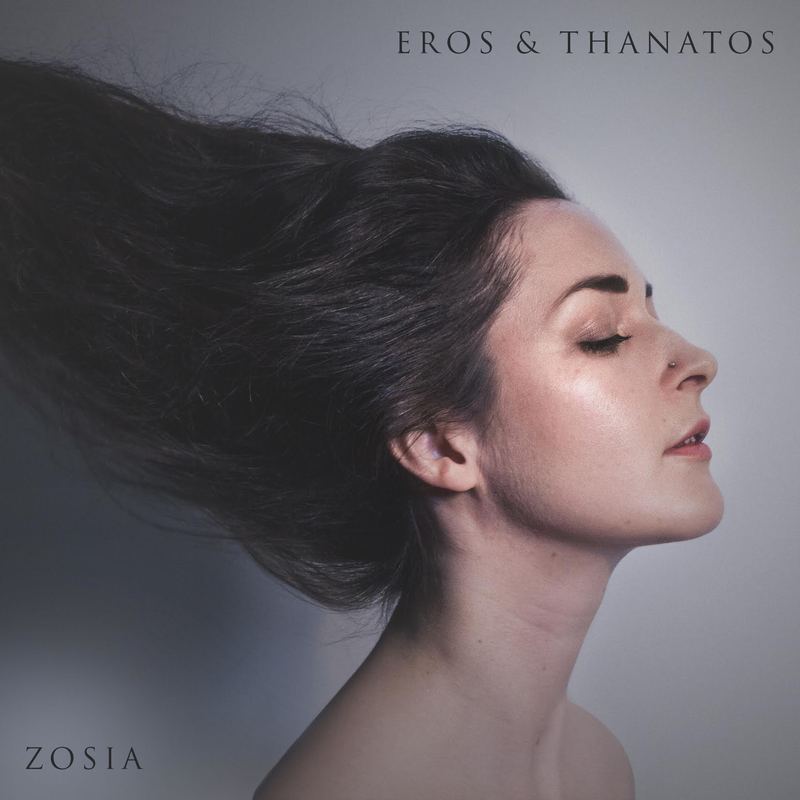 Zosia’s new EP ‘Eros and Thanatos’ is now available to buy on Bandcamp. She can also be found on Facebook and Twitter and on her brand new website.